It’s Saturday morning and you’re ten years old. After waking up way too early, you excitedly turn on the TV and wait for the glorious parade of your favorite cartoon characters to grace the flickering screen. The only appropriate breakfast for the occasion just happens to be the only one you can make yourself—a bowl of sweet, sugary morsels washed down with plenty of milk. But some of those sweet, sugary morsels you remember from your childhood are no more. It’s a sad fact of life that breakfast cereals come and go, even if they’re your absolute favorite. Read through our list and see if you remember these long-extinct flavors and brands. This may be the most ingenious product Kellogg’s has ever devised. Kids love pop-tarts for the same reason they love cereal: unholy amounts of sugar. Add some milk into the equation and make those pop-tarts bite sized? You’re in sugary cereal heaven. Steve Urkel was a legend in the early nineties. It’s a bit curious how he managed to invent time machines, force fields, and even a suave clone of himself, but couldn’t manage to make a breakfast cereal that didn’t taste identical to Froot Loops. Oh well, we loved this stuff anyway. 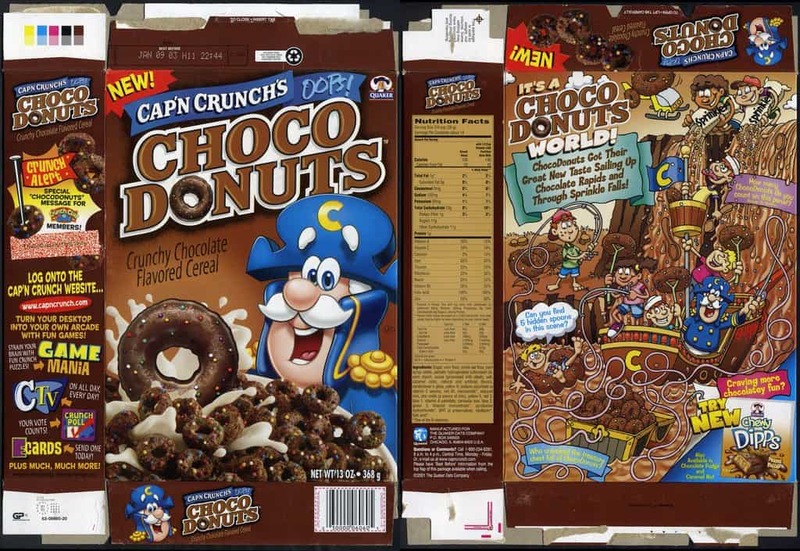 The 1980’s was truly a golden age for ridiculously unhealthy cereal. 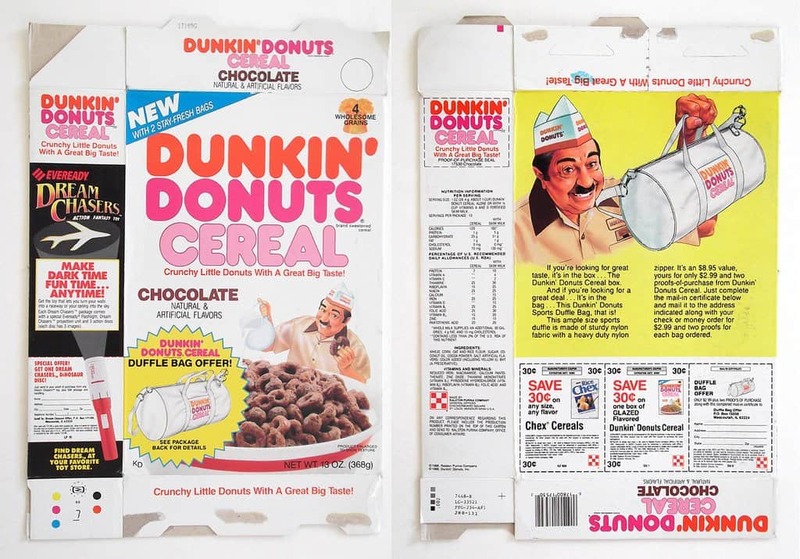 For some reason, we weren’t allowed to eat donuts for breakfast every morning, but this stuff was totally fine. If you couldn’t choose between the glazed and chocolate flavors, the company actually sold a box that had both split right down the middle. 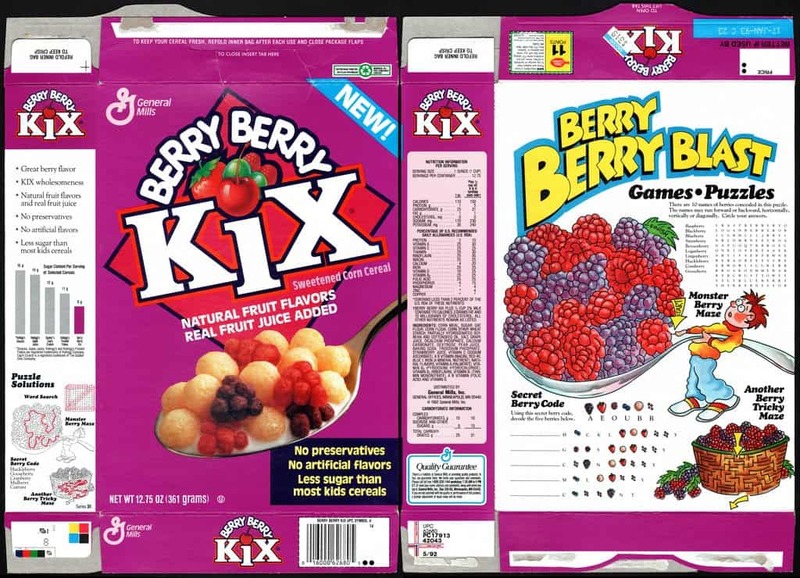 On their own, Kix don’t really have much flavor. But add some little “fruit” clusters that make your milk taste like blueberries? Pure bliss. 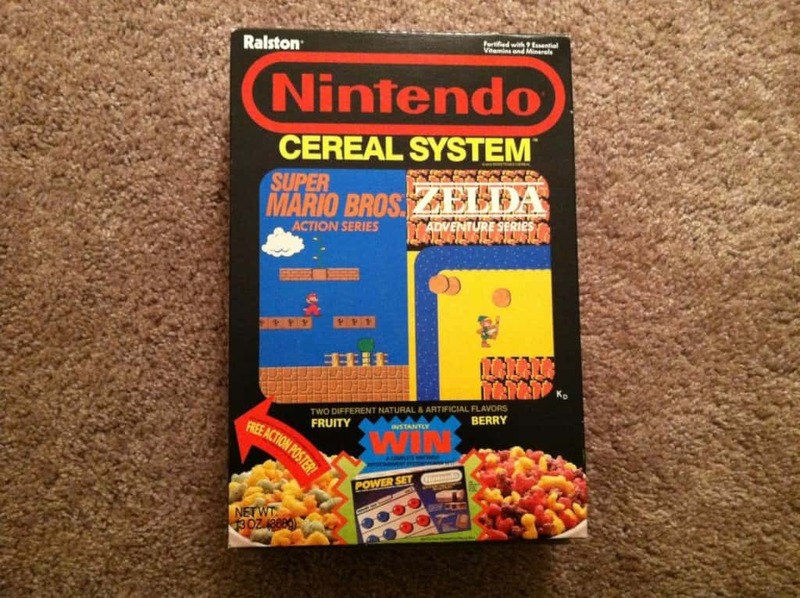 Nintendo was everywhere in the late 80’s, even at your breakfast table. Obsessive Nintendo fans could enjoy Super Mario or Legend of Zelda themed morsels in the same box, along with a host of Nintendo-themed prizes and giveaways. It was more than a cereal box. It was a cereal system. 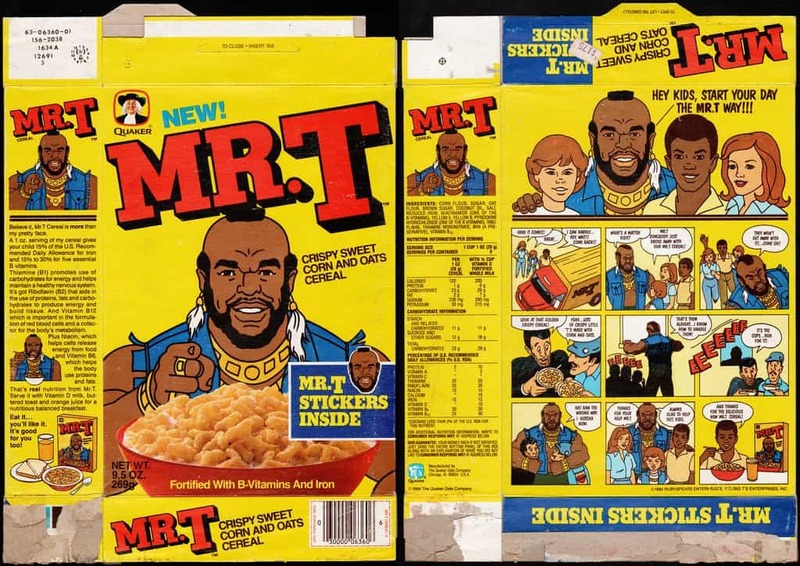 Mr. T was a hero to many children in the early 1980’s. He was the star of a hit TV show, appeared in cartoons and comics, put out numerous PSA’s about the dangers of drugs and alcohol—is it any wonder he got his own breakfast cereal, too? 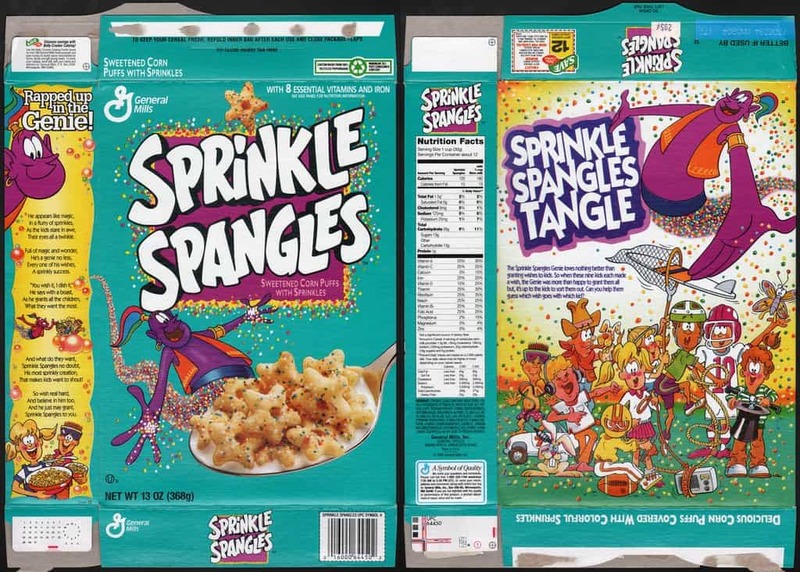 Seventeen years after General Mills discontinued it, some of us still wake up in a cold sweat with a craving for that beloved mixture of sprinkles and sweetened corn puffs known as Sprinkle Spangles. It’s a craving we may never again get to satiate, leaving us with mere memories of that purple genie and his sickeningly sweet morsels of pure childhood joy. What kid doesn’t want chocolate and marshmallows in their breakfast? 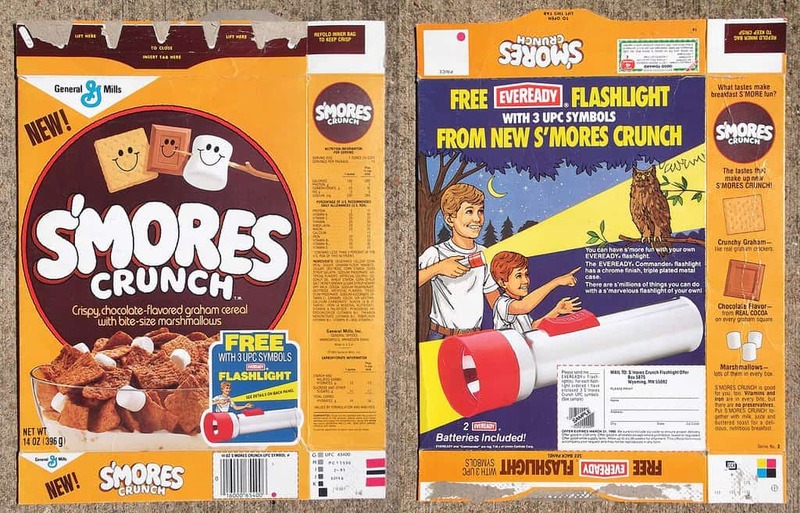 Sadly, the closest thing us adults get to our beloved S’mores Crunch is a flavor variety of Kellogg’s health-food cereal Krave. It’s just not the same. 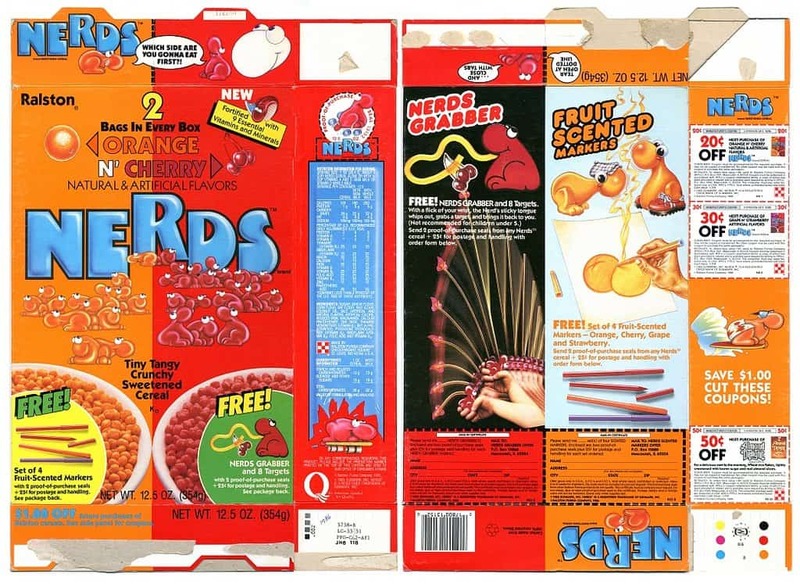 We won’t mince words here—Nerds Cereal looks pretty disgusting in retrospect. It’s based on a sour candy, after all. But that didn’t matter to us as kids. Candy flavored cereal was candy flavored cereal. Finally, some good news! 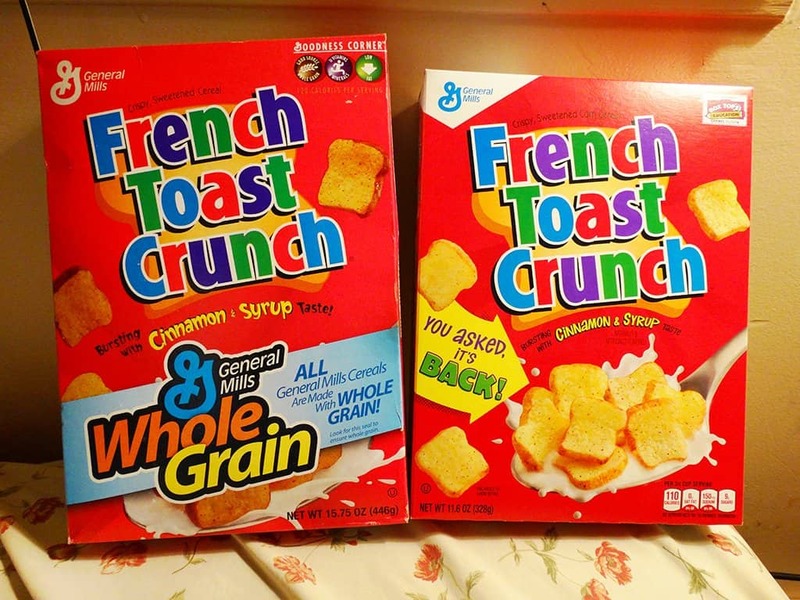 French Toast Crunch, a syrupy tasting cereal you may remember from the late 90’s, is back on the shelves for a limited time. Take advantage of it while you can, your childhood is waiting. 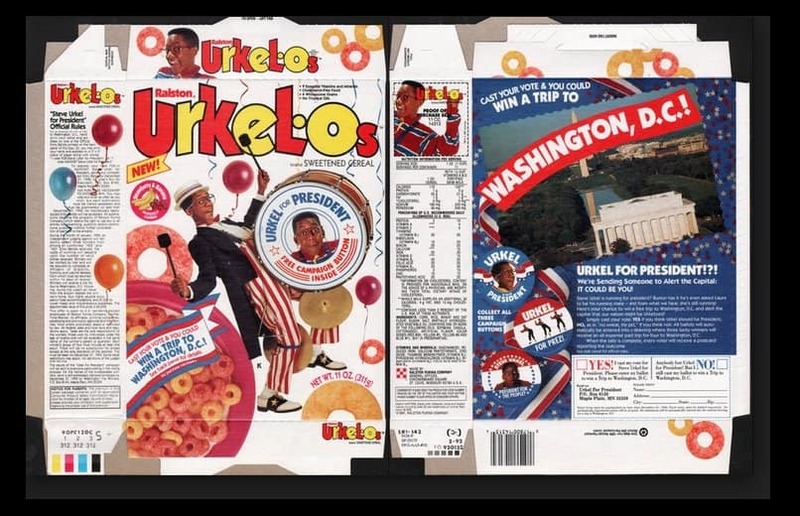 So far, we’ve covered a lot of cereal from the 80’s and 90’s, but millennials deserve some nostalgia, too. 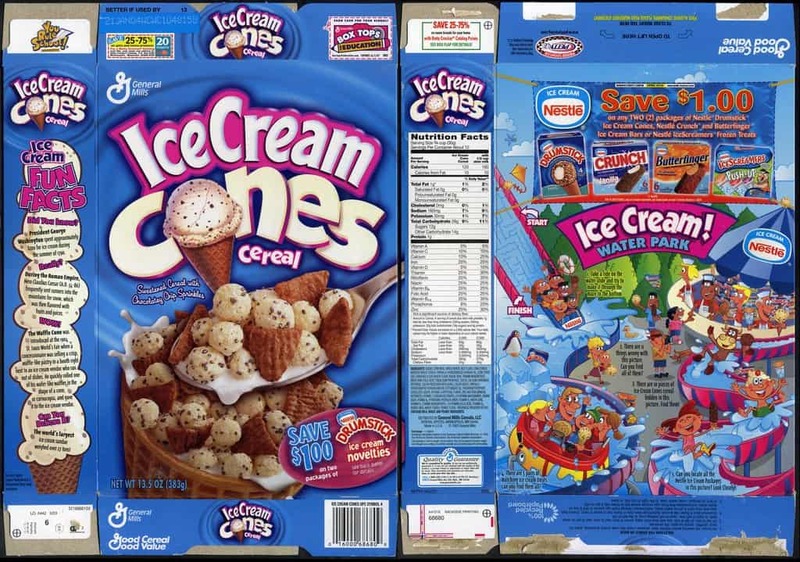 This brand of ridiculously sugary cereal was available in the early 2000’s. 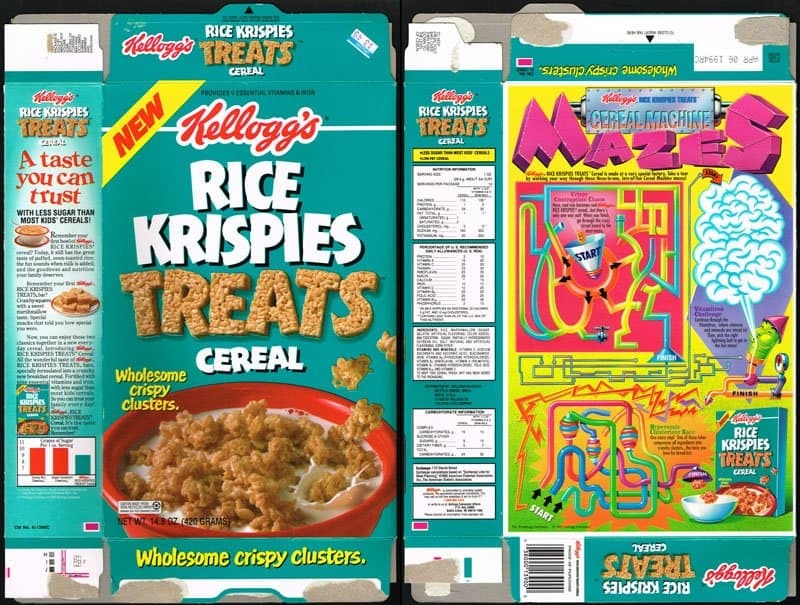 Remember when nearly every cereal box had little games and mazes on the back? Good times. 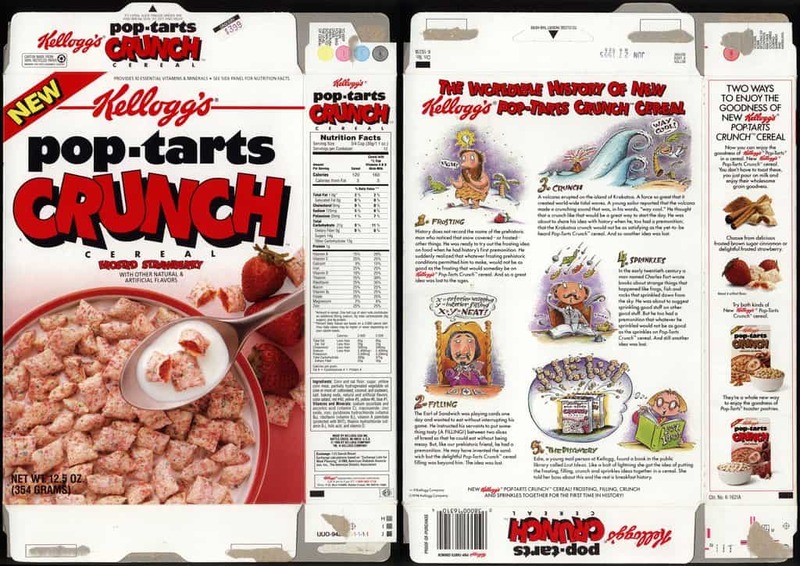 General Mills teased two generations of kids with this ingenious concoction. They released it for one year only in 1987 and 2003, respectively. The General giveth, and the General taketh away. 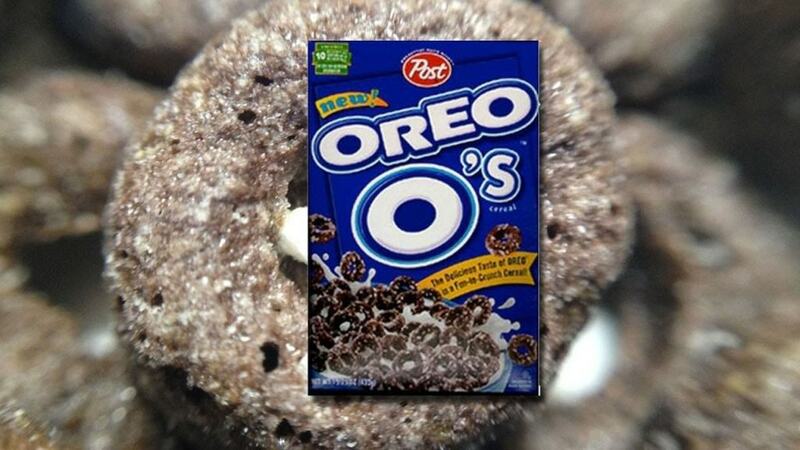 Briefly available in the early 2000’s, Oreo O’s gave kids everywhere an excuse to eat Oreo cookies for breakfast. Sadly, it seems not too many parents were keen on the idea. If you desperately need a fix, you can still buy them in South Korea. On their own, Rice Krispies are a little bland. Add some marshmallows and bake in the oven for a few minutes, however, and you’ve created a treat beloved by kids and adults everywhere. It only made sense to break those treats up and sell them as a cereal. Sadly, and for reasons unknown, the cereal can no longer be found on most store shelves. 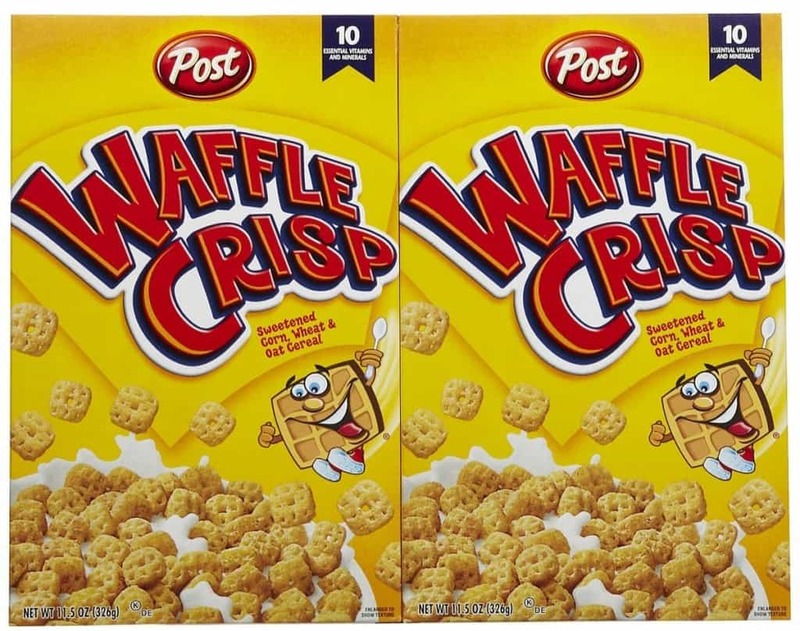 Oh Waffle Crisp, we hardly knew ye. Brought into this world in the late 1990’s only to be taken away a few years later. You’ve had imitators, like Eggo Cereal, but none have come close to matching your crispy, crunchy, syrupy glory. Long before Michael Bay’s critically-panned 2014 film killed the franchise, the Ninja Turtles were a force to be reckoned with. 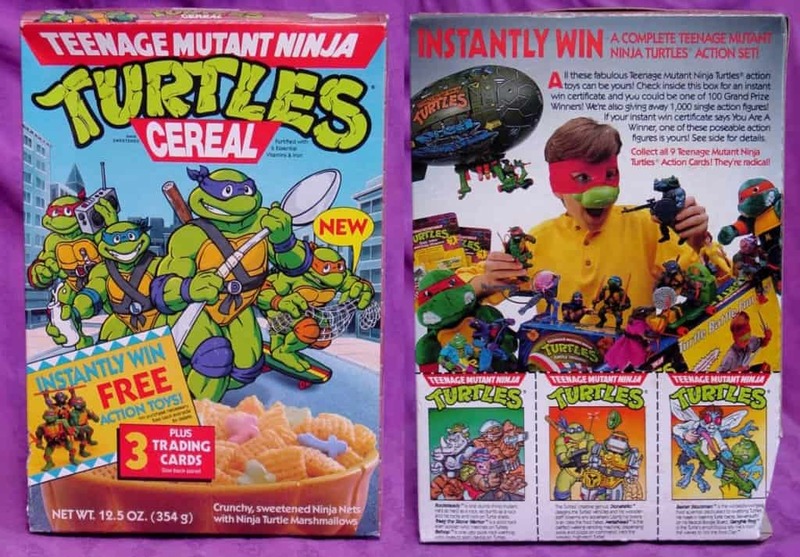 Just about every boy (and plenty of girls) in the 80’s was up to their neck in TMNT merchandise, including an official breakfast cereal. Radical! Speaking of merchandise, the Star Wars trilogy was bigger than ever in the 80’s and 90’s. 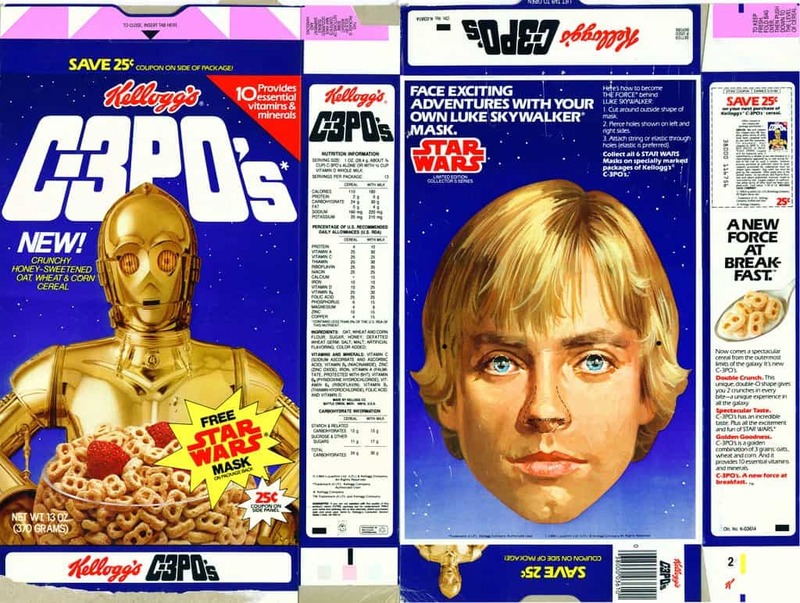 C3PO’s may have been little more than conjoined Honey Nut Cheerios, but Honey Nut Cheerios didn’t come with a cut-out mask of Luke Skywalker’s face. 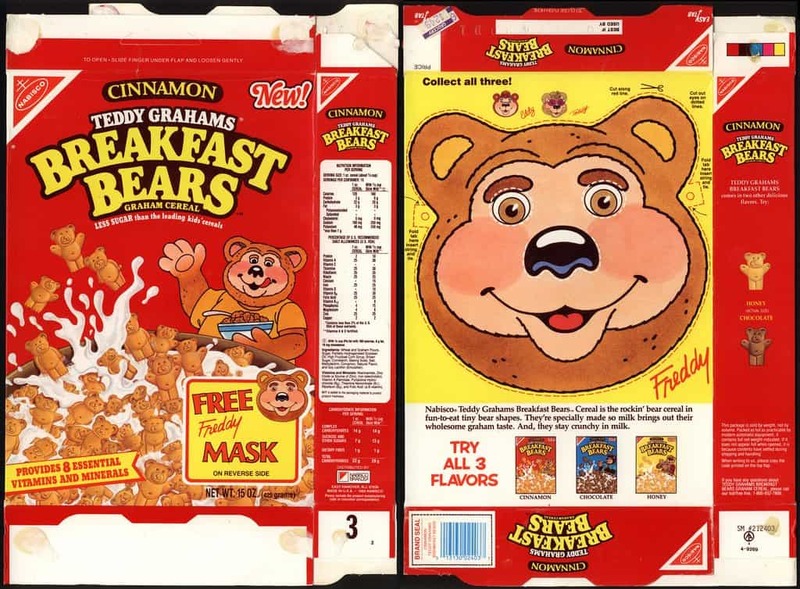 Breakfast Bears were just regular Teddy Grahams some marketing executive decided to repackage in a cereal box. But who really cares? They were delicious. Technically, they haven’t gone anywhere. You can still buy regular Teddy Grahams and pour them in a bowl with some milk—but that somehow feels less healthy. 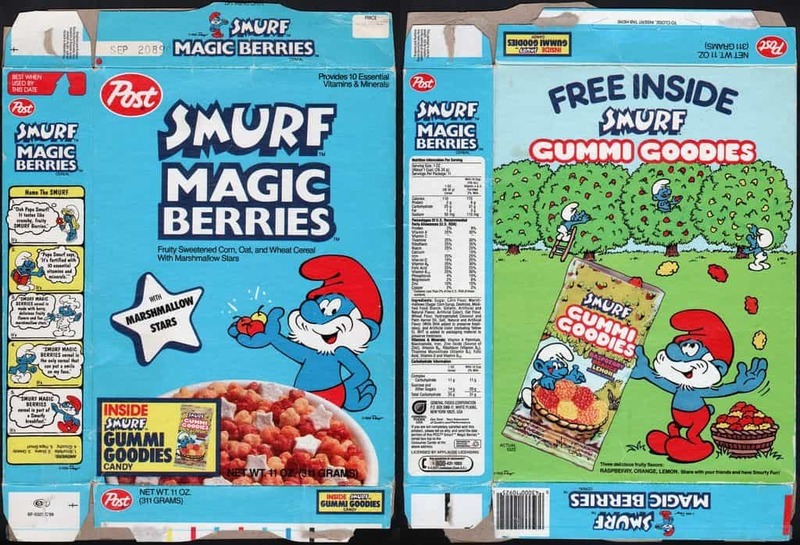 Going above and beyond the call of duty, Smurf Magic Berries were not only delicious, each box came with a pack of Smurf gummy candies. Smurftastic! Children of the 80’s may remember Dino Pebbles as Fruity Pebble’s far superior cousin. 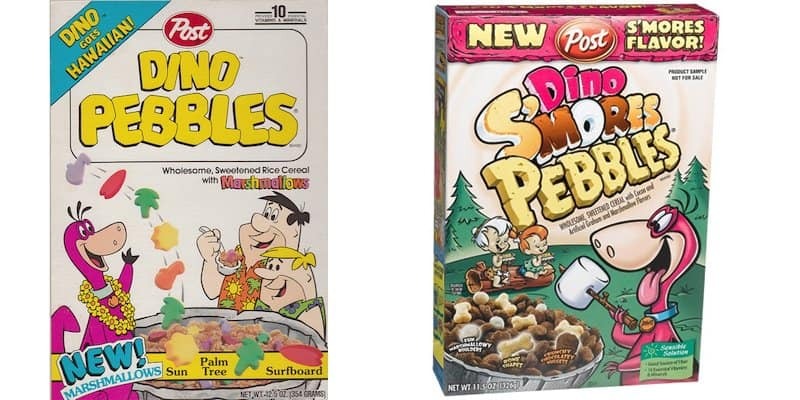 In short, Dino Pebbles had something Fruity Pebbles lacked: marshmallows. Sadly, it seems our parents got wise to the fact that a marginally less sugary option existed.